A voice is surpressed because something is written about a particular political party. Is it fair? Is it fair to remove the book from the Arts syllabus by the University of a city by the sea (once known as Bombay and now Mumbai)? The knowledge that political parties and the party in control agreed to it, was further shocking. I do not understand or see the sense when books are banned. I do not get it. Authors like anyone else have a right to express themselves – if you do not like it, then please do not read it. It is as simple as that. Not like anyone is forcing you to. Moreover, a single young man of twenty-odd years can make such a decision, even without reading the book is appalling. I am astounded by the turn of events in the past couple of months and wonder whether would anyone have the freedom of expression any more. To this, here is my review of “Such A Long Journey”, written when we still had a voice. Sometimes compared to Dickens or Victor Hugo for the strength of his descriptions, Rohinton Mistry uses “ordinary” men and women as his protagonists and fills his novels with the sights, sounds, smells, and color of India. Depicting his characters as neither saints nor sinners, he involves the reader in their lives as they try to survive the complexities of their culture. In this novel, Gustad Noble and his wife Dilnavaz, living in a congested apartment building in Bombay, try to lead good lives and inspire their children during Indira Gandhi’s rule in the 1970s, with all its political, professional, and social upheaval. India is on the verge of war with the Muslims of Pakistan, and though Gustad, a Parsi, is aware of political chicanery, he is far more pre-occupied with having his son accepted at a school of technology, doing his job as a bank supervisor, and supporting his family. Constant blackouts and continually deteriorating conditions on the street add to the frustrations of Gustad’s life. Then Jimmy Bilimoria, an old friend, asks Gustad for help, claiming that he is training freedom fighters in Bangladesh to act on behalf of the Indian government against Pakistani “butchers.” Gustad reluctantly agrees to use his position at the bank to deposit money to a secret account, but he soon finds himself enmeshed in a spiral from which he cannot break out, his life turned upside down. Throughout the novel, the wall outside Gustad’s apartment building symbolizes the larger world of Bombay and parallels some aspects of Gustad’s own life. At the outset, it is used as a latrine, breeding illness in the neighborhood but keeping the noise and tumult of the street out of the apartment house. When Gustad persuades a sidewalk artist to paint it, he depicts scenes from all the religions of India, and the wall becomes a shrine–until the government decides to widen the road and tear it down. Gustad’s personal crisis and the fate of the wall intersect in a conclusion both moving and profound. Readers who delight in plot development may be disappointed. There are plots and subplots of sorts in this book — will Noble’s son reject a shot at an engineering degree? will his daughter regain her health? will a former neighbor, now in New Delhi, be found out as a good guy or a bad guy? will a prized homage to spirituality survive the wrecker’s ball? will the bank manager learn the truth about some misguided deposits and spill the beans? will the simpleton get the, uh, girl? — but, to me at least, these stories appear and drift away without careful crafting or much urgency in the telling. Rather, Mistry uses his plot lines more as opportunities to describe modern Indian society, in its complexity, and Noble’s passage through it. The novel, in short, is comic, melodramatic, and heartwarming, yet its sentimental trappings disguise an unexpected cynicism. 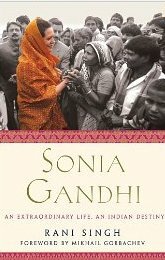 Although Mistry’s fictions does not overtly deal with the political scene, both this novel and “A Fine Balance” acidly satirize the corruption, policies, and legacy of Indira Gandhi’s government (the two novels are set in the years between the 1971 state of war with Pakistan and the 1975 state of emergency called by Gandhi to quell internal dissent). All citizens are expected to make sacrifices for Mother India, although “some newspapers reported it as Mother Indira, which did not really matter–the line between the two was fast being blurred by the Prime Minister’s far-sighted propagandists.” The ever-present threats of war and emergency lead Gustad to leave his windows taped up with blackout paper for nearly a decade, the dust and insects accumulating on top of his wife’s nerves and the nation’s fears. Living in the dark, the Nobles and their friends are nothing less than India writ small, a microcosmic reflection of its squabbles and reconciliations, vices and values, calamities and hopes. All in all, I only have to say one thing: Banning books from university syllabi will not help. Nothing will. People will read if they have to, no matter what and will form their own opinions at the end of the day. After all, we live in a free country, last I checked. This entry was posted in Authors, Books, Review and tagged banned books, Bombay, dickens, emergency, faber and faber, Fiction, gustad noble, India, indian fiction, Indian Writing, indira gandhi, integrity, penguin, penguin group, politics, rohinton mistry, such a long journey, victor hugo on December 5, 2010 by thehungryreader.